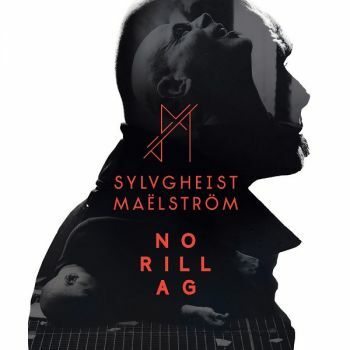 In keeping with the esthetics of industrial music, Sylvgheist Maelström values minimalism and repetition. Always working with few sound tracks, his compositions are in opposition to all idea of melody. With Lahar, Sylvgheist Maelström's aim is to give substance and width to the music he creates, while taking the listener towards new mental landscapes. 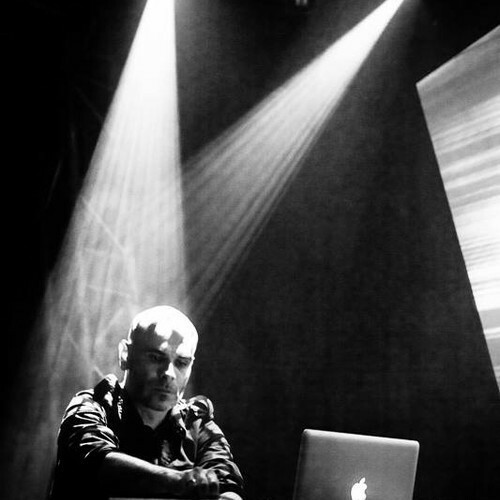 Acrid yet athmostperic soundscapes are crescendo enriched with heavy percussions, thus creating a collage aiming towards what Julien calls an " industrial trance ". Lahar is the 23rd album of collection LP – Connection Bizarre. Lahar is the result of ten years work. It was written and produced by Sylmalm between 2000 and 2010, and was recorded in Paris, in the course of August 2010. Besides the universe of contemporary music in which he grew up, Julien Sylvgheist's musical influences are clearly identified: Einstürzende Neubauten and Orphyx. These influences are at the root of project Sylvgheist Maelström - literally " ghostly spirit of nature " -, which Sylmalm qualifies himself as minimal industrial ambient. Lahar is Sylvgheist Maelström's first album. It evokes the cataclysmic eruption of Saint-Helen volcano in the American state of Washington. On May 18th, 1980, an earthquake provoked the movement of million tons of volcanic materials, which formed a lahar, that is to say a massive torrent of mud and rocky fragments. This event caused enormous destructions throughout the state. Two years later, in the same place, the phenomenon repeated. Lahar is in fact a kind of « sound reflexion » on the cyclic character of natural catastrophes but also, more essentially, on the inexorable character of death and destruction. Acid rain and smog - by some estimates, one per cent of global sulphur dioxide emission comes from Norilsk's nickel mines. And yet, local authorities and the Norilsk Nickel complex directions attract people with large sums of money - to suffer the most horrendous work conditions. The workers accept the pollution and the severe health hazards as a condition for profit, effectively turning todays Norilsk into a revenant of the Soviet gulag and its dark history of forced labour – and death. How do you translate this evil mass-manipulation and force into a musical language? Off-beats, glitches and noise, in their most condensed form on the portrayal of a “Volcanic Storm”, in rapid succession with moments of celestial beauty and rhythmic catchiness, just like in the opener “Svalbard”. Generally, Sylvgheist Maëlström appears in an adventurous mood, defying categorization, creating a rather timeless sound with references to 90s IDM and bleep, albeit in a totally contemporary fashion and production value. Far from headstrong, he always has a spine-tingling element available, a mesmerizing bassline (“Transition 2”), a swelling build-up (“Sanchi”), a head-nodding shuffle rhythm, or an earworm almost-melody “Mariana”). “Alienation”, featuring Moogulator, brings in a heavy electro sound, and veteran producer Philipp Münch provides arcane, mysterious – and rather graphic - sounds for the closing track “Insanity”. многовато лишних звуков, этакая каша, что впрочем обычно для IDM. тема Норильлага не раскрыта, можно назвать и как-то иначе, ничего по сути не изменится. в целом разок послушать можно, особенно если давно ничего подобного не включали.